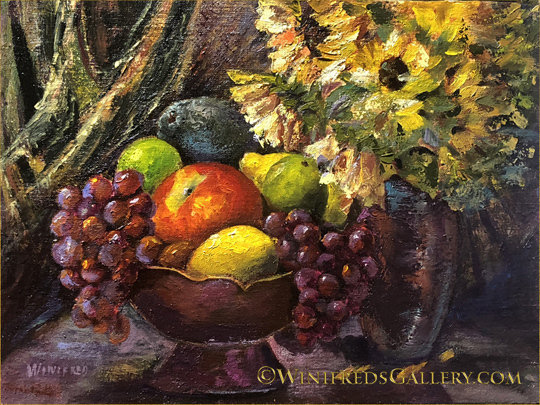 This entry was posted in Traditional Oil Painting and tagged Winifred Whitfield Still Lifes by Winifred Whitfield. Bookmark the permalink. I love your new-old still fife paintings. Now working in Digital art, I miss the way I feel working with traditional material. Unfortunately, being allergic to paint products, couldn’t continue to paint in oil or other forms of art using paints I couldn’t tolerate! Your work is great! There are many people allergic to solvents which are sometimes contained in commercial mediums available to mix in paints, turpentine fumes are very bad for you, Gamsol and others not as bad but not good. However, there have been so many people allergic and ill from these products that processes have been developed to allow you to work solvent free and toxic product free. I do. I don’t use any of those harmful products – not even to clean my brushes!! So, if ever you want to move in the direction of traditional products again, just let me know and we will talk. Fortunately, digital is fun, though each new version is becoming more complex. 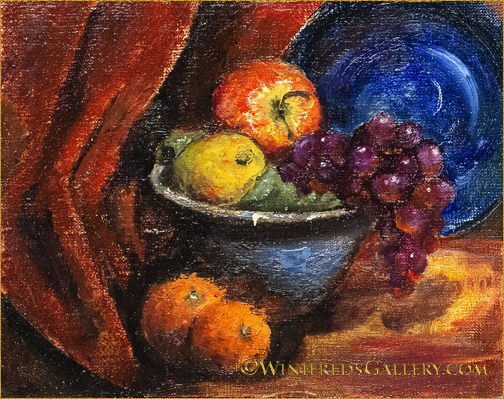 As you know – the fact is, there is nothing like oil paint!! Bonjour Winifred, the new look is marvelous. I am so excited for you to have created your own magic paint colors and making your linen panels. Your work and process is inspiring and so rich looking. Bravo! Thank you so much Brenda. I’m working now to expand my imagination as well, to create some images more unusual. It’s a situation where one just has to allow ideas and brush strokes to move through you nd to trust the process. I may be the only one who enjoys them but that’s fine also. 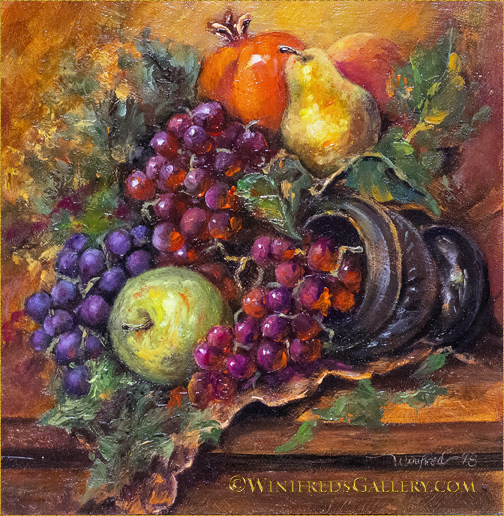 I love all of the still life paintings. Your story about developing your own materials is very interesting and makes me think about the history behind the materials many great paintings.